Shelter Generations arrives on the Nintendo Switch eShop on April 12th. 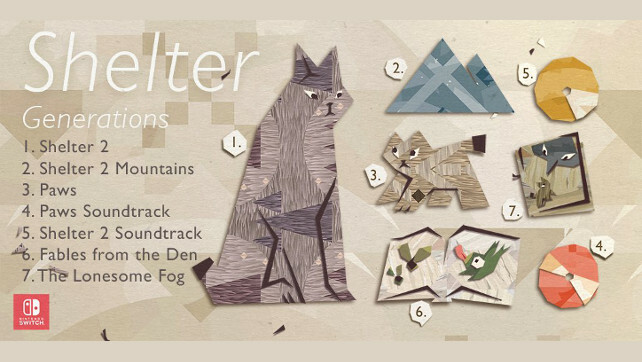 Being released by Circle Entertainment, this console-exclusive collection includes Shelter 2 + Mountains DLC, Paws: A Shelter 2 Game, soundtracks for both games, and two ‘living books’. Shelter Generations will arrive in the Nintendo eShop for $17.99 USD in week one and then $19.99 USD after that.